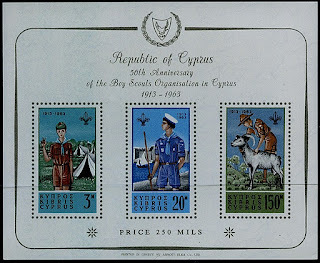 In 1963, Cyprus issued a set and souvenir sheet in celebration of the 50th Anniversary of the Boy Scouts (Scott #224-26, 226a). While the sets are relatively common (172,806 issued), only 29,971 of the souvenir sheets were issued, and Scott '12 prices it unused at $150.00. 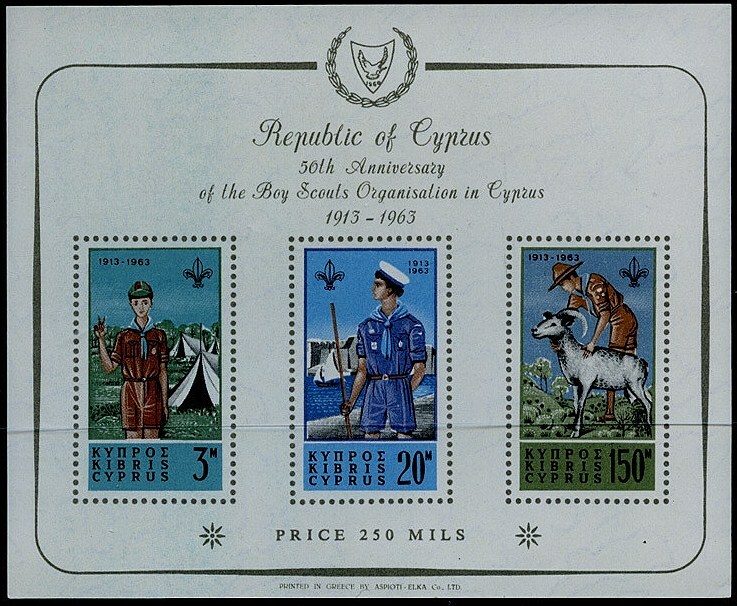 This attractive souvenir sheet has multiple market appeal among collectors of Cyprus, British Commonwealth and Boy Scout topicals. Worldwide membership of the Boy Scouts is estimated at 25 million, and Scouting topicals are extremely popular internationally. 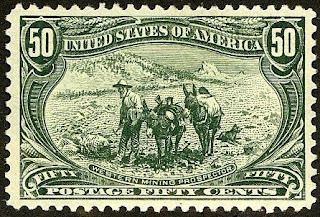 There is even a organization dedicated to promoting the collecting of stamps honoring Scouting - the Scouts on Stamps Society International (S.O.S.S.I.). The island of Cyprus is divided between two separate states: the Republic of Cyprus, with about 800,000 people, and the Turkish Republic of Northern Cyprus, which is recognized only by Turkey, which contains another 285,000.The Cypriot economy is prosperous and has diversified in recent years. According to the latest International Monetary Fund estimates, its per capita GDP (adjusted for purchasing power) of $28,381 is just above the average of the European Union. Cyprus has been sought as a base for several offshore businesses because of its highly developed infrastructure. Tourism, financial services, and shipping are significant parts of the economy. Annual GDP growth has averaged about 2.4% over the past 5 years, reflecting a recent contraction due to the global financial crisis.